Good luck getting your hands on this year's Furby as they are so popular is has ALREADY sold out. It’s official. Black Friday hasn’t even arrived, but we know that the 2016 season’s blockbuster must-have toy is something called Hatchimals. And we know this because sales have been so swift that the product is already nearly impossible to find at stores, or even sold out online unless you’re willing to pay more than triple the retail manufacturer’s price. eBay is currently going crazy to get one for their children who might be crying on xmas day. UK retailers Toys R Us, Smyths, Argos, John Lewis sell them for £59.99, but have sold out. parents are swarming over to ebay were they are fetching between £90 and £150. The creation comes from Spin Master, the company behind Etch-a-Sketch, Air Hogs, Build-a-Bear Workshop, and Tamagotchi. 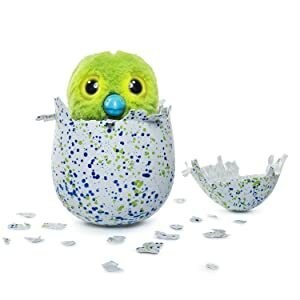 Hatchimals, a fuzzy interactive toy that hatches out of an egg, appear poised to be the next member of the holiday toy craze hall of fame, a group that includes the Cabbage Patch Doll, Tickle Me Elmo, Furby, Zhu Zhu Pets, and, well, Tamagotchi. Out of egg, it’s time to raise your Hatchimal through 3 stages. 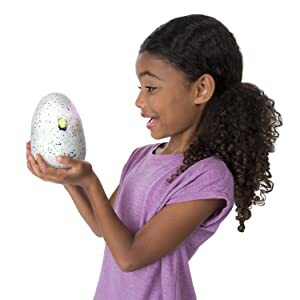 Teach your cute Hatchimal to walk, talk, dance, play games and more! five different “species”: Pengualas, Draggles, Burtles, Owlicorns, and Bearakeet. Just What the Heck Are They? Care, nurture, and play with your Hatchimal’s egg. Tap the egg and your Hatchimal will tap back. Listen to hear its heartbeat, turn the egg upside down, and watch the eyes light up from inside the egg. It’s a mystery who’s inside — it’s a surprise! Care for your Hatchimal while it’s inside the egg. When it’s ready to hatch, you’ll see rainbow eyes! Your Hatchimal can’t hatch without you! Encourage yours by holding and rubbing the egg. Hatching can only happen once, so make sure to share the experience! 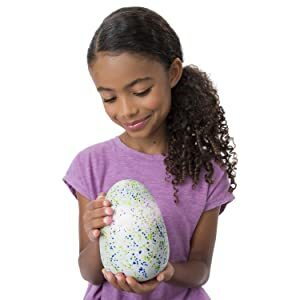 Now that you’ve met your new Hatchimal, it’s ready to play and grow. Give your Hatchimal a name and raise it through 3 stages: from baby, to toddler, to kid. At each stage they’ll sing “Hatchy Birthday”! Hatchimals really walk, talk, dance, play games, and more. Hatchimals — who will you hatch?